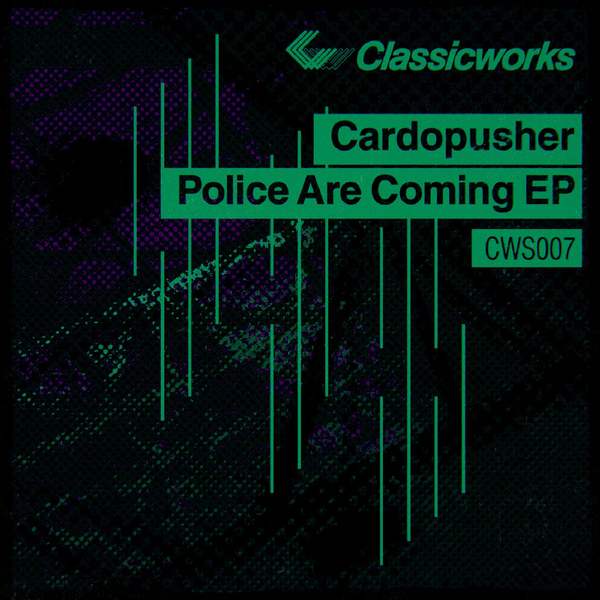 Cardopusher goes retro house on the 'Police Are Coming EP'. Nodding to classic Chicago, Belgian and UK house templates, he shunts the weight jack of '1989 Warehouse' and the Italo-spiked darkside chuggernaut, 'Police Are Coming (Emergency Mixx)', plus the grungy gargle of 'Mouthwash Acid'. His Classicworks co-owner Neuhen shakes 'Police Are Coming' down to a naked, tracky weapon, and Phran flips '1989 Warehouse' with some Juan Atkins-esque electro technique.